Do read all the way down for your chance to make a bargain! As I wrote about in yesterdays blog post, I was recently sent a package from Ian Fleming Publications with a copy of the rare book BOND BOUND inside. 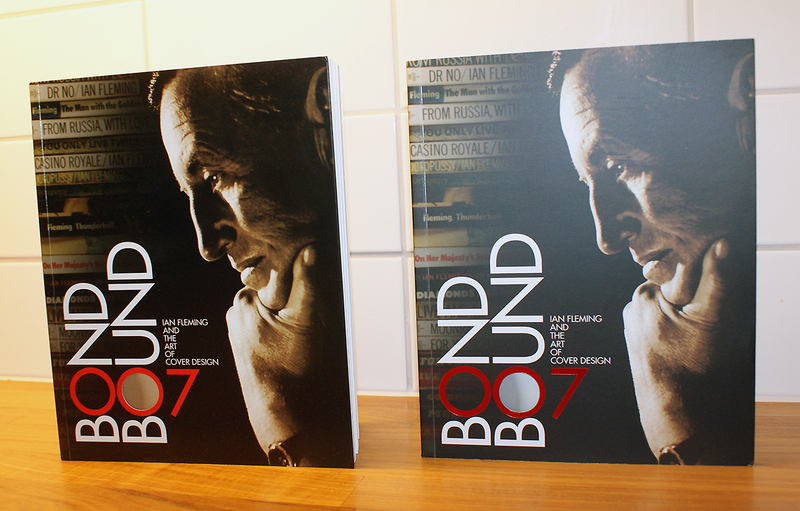 This title was only sold during the Ian Fleming Exhibition "Bond Bound: Ian Fleming and the art of cover design" held at The Fleming Collection in London and at The City art centre in Edinburgh. 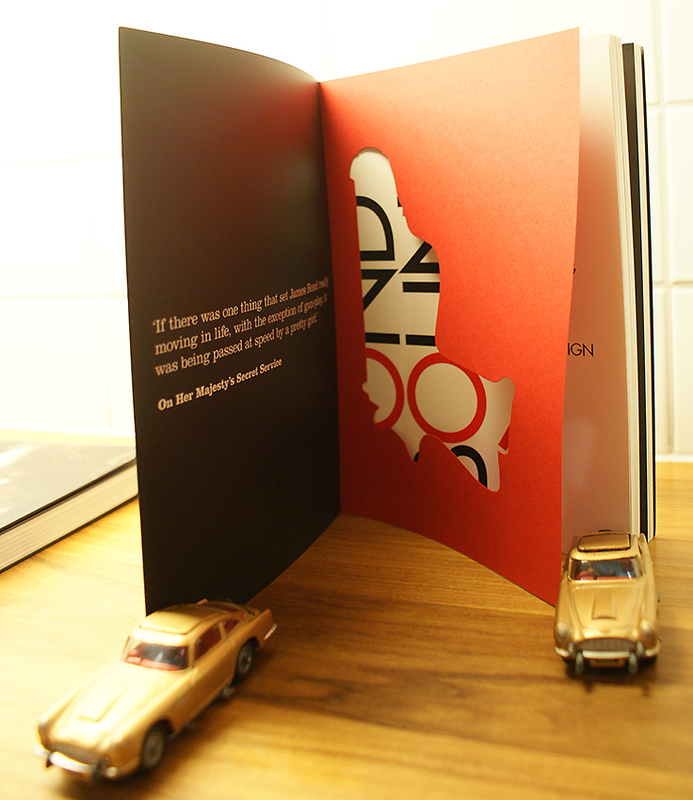 I had been hunting this book for a very long time when I finely came a cross a copy a few months ago. 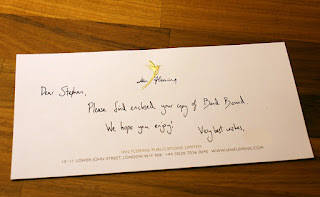 So now when I received a copy from Ian Fleming Publications I have two. As a book collector / nerd I could not resist the need to go through the books to ses if they matched. And they did not. There are clearly two versions of this book and I will demonstrate the differences below but first I wish to point of what the book contains. 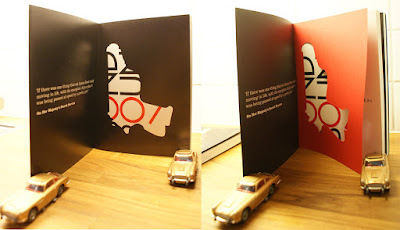 The first 40 pages are about Ian Flemings life and the rest of the book is photos of different book covers, from around the globe, for his James Bond books. If you do like his books. This is a must have in the collection. First of all there are differences on the actual cover. The read 007 logo is just red on the ordinary version but metallic read on the one I got from IFP. Take a look at the photo. It is hard to show the differences. The second difference is on the first page. 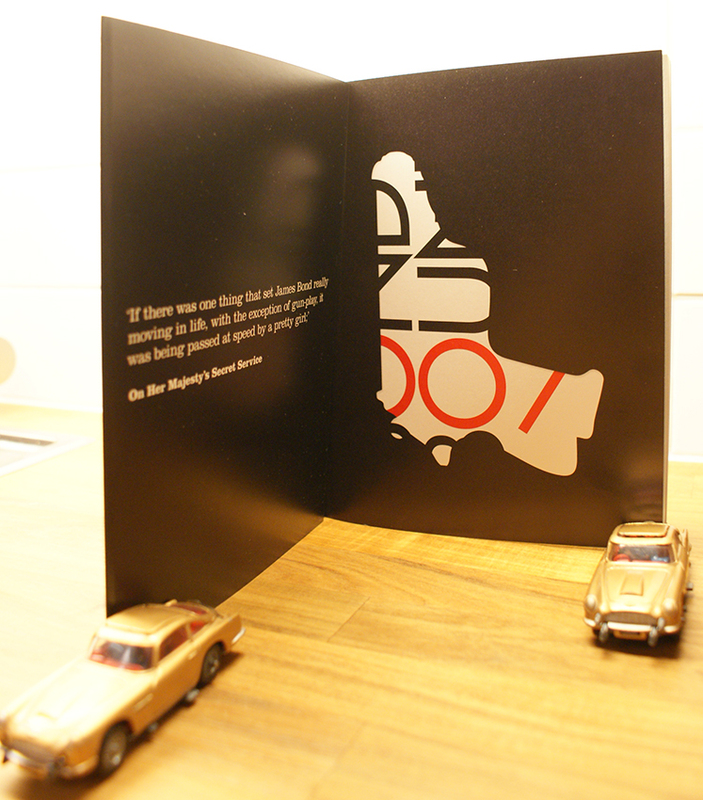 In my first version it is a black page with a silhouette of a Walther PPK. 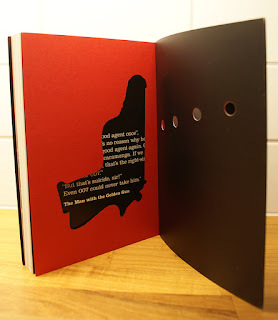 But in the one I recived from IFP this page is red and has an actual cut out of the gun. 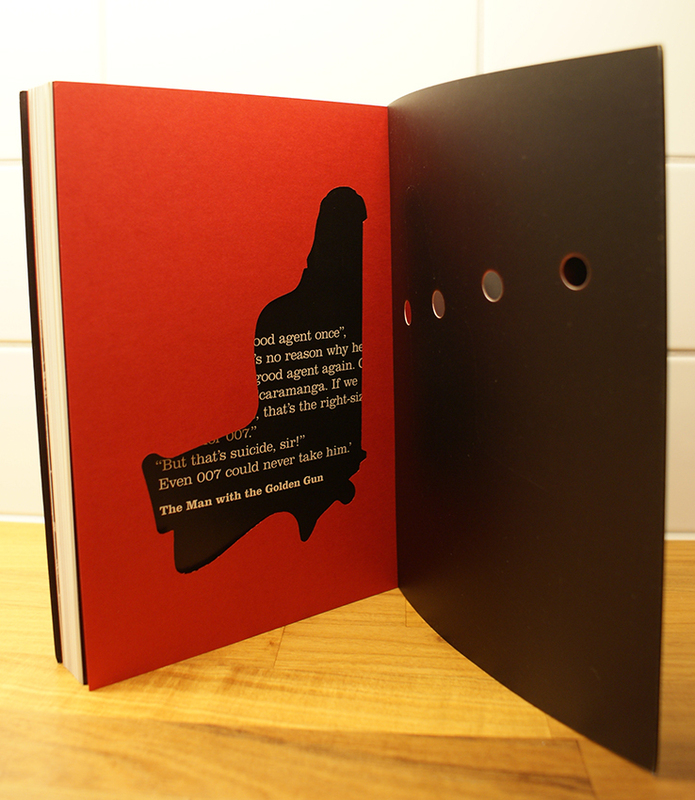 The third and final difference is on the last page where the red cut out appears again. 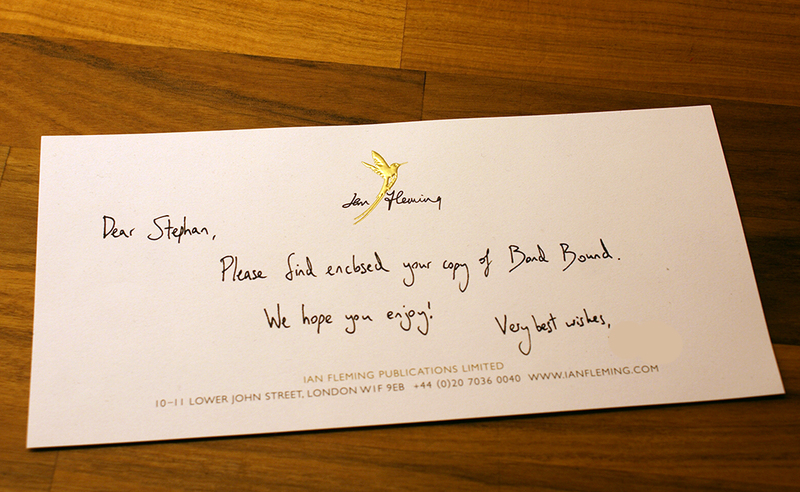 Another nice thing to have in the collection now is a actual small letter written on a Ian Fleming Publications letterhead with the golden hummingbird on it embroiled. I do understand that if you work at IFP it would be quite wired that someone want to keep that letter but for me its a cool thing to have and cherish. Even if there are differences between these books I will not keep both of them. But since I got one of them as a gift I will sell the other one on Ebay, where I found it. BUT I will not make a profit out of this. I have decided to start the asking price at $1 and let all profit go to Save the children just like Goldsboro Books did whit a TRIGGER MORTIS copy. You can find a link to this charity auction RIGHT HERE!